Thomas Kinkade, Caesar Crystal's art glass, & unique sculptures from Guillermo Forchino and All That Jazz are just several of the types of Fine Art that we carry at Kayne Gallery. Our extraordinary selection of limited-edition prints also includes the works of Cao Yong, Bob Pejman, Andy Thomas & other world-renowned artists. 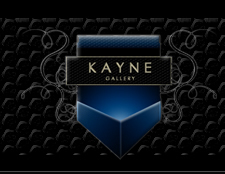 Established in 1998, Kayne Gallery is one of the premier art organizations in the country. Kayne Gallery creates an atmosphere that is a gateway for most collectors, as the relationships that we build with them are lifelong.